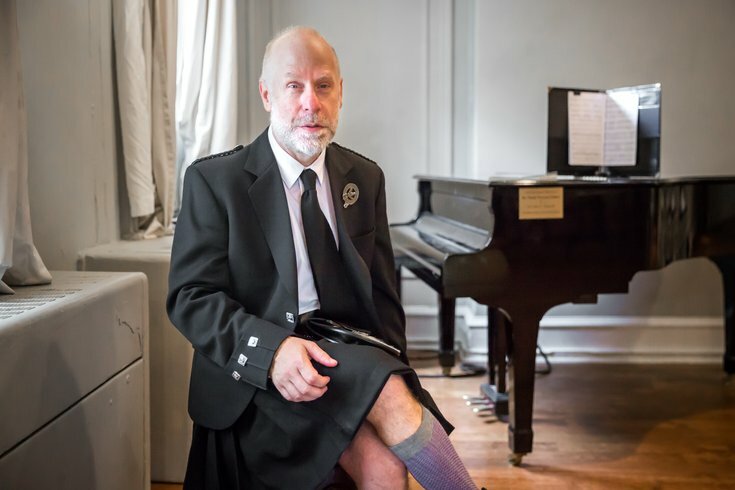 Roland Dunbrack, a computational biologist at Fox Chase Cancer Center, is part of the Philadelphia Voices of Pride, an LGBT community chorus group in which he often chooses to perform in a formal kilt – instead of the traditional tuxedo – to honor his Scottish heritage. Dunbrack was photographed at the William Way Community Center, where the chorus regularly rehearses. In his research laboratory at Fox Chase Cancer Center, Roland Dunbrack works passionately to analyze the structures of proteins in order to better understand how certain mutations cause cancer. But away from the office he indulges another passion: music. A member of the Philadelphia Voices of Pride, an LGBT vocal ensemble that performs a mix of classical and contemporary music, Dunbrack doesn’t remember a time when music wasn’t a part of his life. His mom loved to sing and always played opera in the house as he grew up in Waltham, Massachusetts, and as a child he learned to play the clarinet and piano. 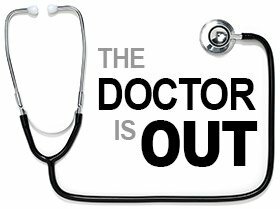 Help us out: This week we are challenging St. Christopher's Hospital for Children to nominate staffers with a side story to tell. Send us a tip via email. At first Dunbrack, 53, a computational structural biologist, concentrated on playing in bands and orchestras not singing. In high school and in college at Harvard, he played in both the marching band and the wind ensemble. It wasn’t until he was studying chemistry and biochemistry at Cambridge University in England in 1985 and a friend cajoled him into joining a chorus there that he found his singing voice. “I didn’t know if I could do it, but it was pretty easy to pick up,” he told PhillyVoice. After returning to Harvard for graduate school in 1987 for a Ph.D. in biophysics, Dunbrack was a member of the Freedom Trail Band, an LGBT marching band and wind ensemble in Boston. And during his post-doctoral work at the University of California in San Francisco, he continued to play clarinet with the San Francisco Lesbian and Gay Freedom Band. After moving to Philadelphia in 1997 to take up a faculty position at Fox Chase, Dunbrack joined the Philadelphia Gay Men’s Chorus and sang with them for years before joining the Philadelphia Voices of Pride in 2008. He has been singing with that group ever since. Besides bringing him closer to his fellow chorus members, the music has also brought Dunbrack closer to some of his colleagues at Fox Chase Cancer Center. Dunbrack said he does not have a trained voice and has only taken about a dozen singing lessons to help him find the right sound. While it is the beauty and the emotion of music that mostly draws him in, Dunbrack said there is also a certain mathematical appeal as well. “Algebra is a symbolic representation of information and that is what musical notes on a page are," he said. While the sciences and the arts are still sometimes compartmentalized, Dunbrack doesn’t feel there is any contradiction to being both a scientist and a lover of the arts. Besides his work with the chorus, he is also an avid opera fan and always has season tickets for the Philadelphia Opera. He attends Philadelphia Orchestra concerts as well.